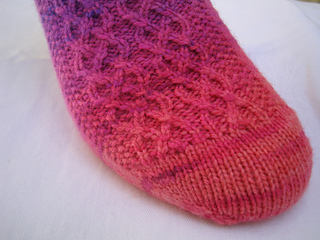 This pattern is available from easyknits.co.uk for £3.00. 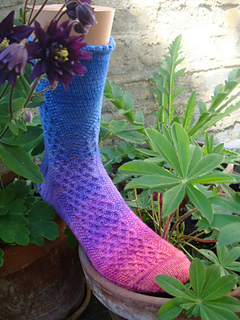 This is the first pattern designed especially to show off the colour-shifting properties of the Easyknits Sushi Sock Rolls (available for purchase from our online store), The beautiful cable pattern is set off by a gradual change in colour, and of course the unique way the cable snakes around the leg of the sock, as if it were a vine climbing a pillar. This pattern is available as a PDF from our website.